Cheryle is an Associate Professor in the Department of Physiology and Pharmacology at The University of Western Ontario and a Scientist with the Lawson Health Research Institute and Children’s Health Research Institute. Cheryle obtained her BSc (1999) and MSc (2001) from The University of Western Ontario and her PhD in the area of cell biology and tissue engineering from the University of Toronto (2005). Following this, she became a postdoctoral fellow with Janet Rossant at the Hospital for Sick Children in Toronto ON, working in the field of early mammalian development and stem cell biology. 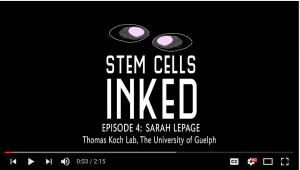 In 2009, Cheryle was recruited to The University of Western Ontario where her research program is centered on understanding stem cell fate and function. Her primary interest is examining cell fate determination within the intervertebral disc and the development of strategies to exploit the role of tissue specific stem cells for spine and skeletal tissue regenerative medicine. Her lab has been supported by operating grants from the Canadian Institutes of Health Research, the Natural Sciences and Engineering Research Council of Canada, the Canadian Foundation for Innovation, and the Chordoma Foundation. Cheryle is a previous recipient of a Canadian Arthritis Network Scholar Award and is currently supported by a CIHR New Investigator Award and an Early Researcher Award from MRI. At Western, Cheryle was co-Director of the Joint Motion Program, a CIHR Strategic Training Program in Musculoskeletal Health Research and Leadership and currently co-directs the Collaborative Training Program in Musculoskeletal Health Research. Since 2011 she has served as Chair of the Stem Cell Network Training & Education Committee and has been involved with both OSCI and OIRM as a member of Governing Council. 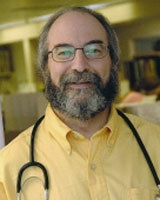 Harry is a physician of the Ottawa Hospital Blood and Marrow Transplant Program, an Associate Professor of Medicine at the University of Ottawa, a scientist in the Center for Innovative Cancer Research and the medical director of the Regenerative Medicine Program at the Ottawa Hospital Research Institute. He received his Bachelor of Medical Science degree and Medical Degree from the University of Ottawa followed by a rotating internship year at the Victoria General Hospital in Victoria BC. Specialty training in Internal Medicine was done at the University of Ottawa. Clinical and research fellowships in Hematology, Stem Cell Transplantation and Experimental Hematology followed at the University of Washington and at the Ontario Cancer Institute. He specializes in the management of patients requiring stem cell transplantation and he has spearheaded the use of stem cell transplantation for immune repair to treat patients with severe autoimmune diseases, including Multiple Sclerosis, Myasthenia Gravis and Stiff Person Syndrome. He has also developed clinical trials exploring the role of dose escalated radiation therapy to treat refractory blood cancers. His laboratory research includes a longstanding and fruitful collaboration with Dr. John Bell developing oncolytic viruses particularly for the treatment of hematological cancers as personalized cancer cell vaccines. 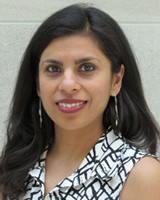 Penney is an Assistant Professor in the Institute of Biomaterials and Biomedical Engineering (IBBME) and holds cross-appointments in the Department of Biochemistry and the Donnelly Centre at the University of Toronto. 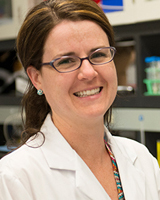 Penney obtained her BSc (1999) from Haverford College and her PhD (2006) from the University of Pennsylvania in the area of cell biology and mammary oncogenesis. Following this she switched research focus and became a postdoctoral fellow with Helen Blau at Stanford University in California working in the field of skeletal muscle stem cells under the support of an NIH Pathway to Independence K99/R00 Award. In 2012, Penney was recruited to the University of Toronto where her research program is focused on skeletal muscle endogenous repair. Her team engineers and studies three-dimensional models of human skeletal muscle and explores muscle stem cell mechanobiology with the goal of identifying signaling pathways that can be tweaked to boost the function of skeletal muscle stem cells in the body. Her lab was supported by grants from the Canadian Foundation for Innovation, Connaught Fund, and U of T Faculty of Medicine Dean’s Fund. The Canadian Institutes of Health Research, Natural Sciences and Engineering Research Council, Ontario Research Fund, Medicine by Design CFREF, and an Early Researcher Award from MRI currently support her work. At the University of Toronto Penney is Chair of the IBBME Distinguished Seminar Series, and she is a member of the IBBME Curriculum Committee, the Collaborative Program in Developmental Biology Steering Committee, and Faculty of Medicine and Pharmacy Animal Care Committee. Penney has been involved with OIRM as a member of the Governing Council and is an Associate Member of the American Society for Cell Biology Women in Cell Biology Committee. David is trained in cellular and molecular pathology and biophysics with extensive expertise in the development of novel therapies for cardiovascular disease. 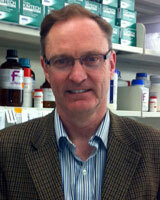 He has a long-standing interest in the development of novel cardiovascular biomaterialsand the regulation of biological responses within the unique spatially oriented matricellular environment of blood vessels. He has also participated in the development of a number of cellular based gene therapies for the treatment of cardio-pulmonary disorders taking them from initial concept, through appropriate animal disease models, and into first-in-human clinical trials. David is currently directing the manufacturing of these cell products for trials treating patients suffering from pulmonary arterial hypertension, myocardial infarction, and sepsis. He is a Scientist and Direct of Biotherapeutics at the Ottawa Hospital Research Institute, Assistant Professor at the University of Ottawa, and Chief Scientific Officer of Northern Therapeutics. Sowmya is focused on translational research, which especially for the emerging field of cell-based therapies requires an integrated understanding of preclinical studies, clinical investigations, cell manufacturing and regulatory compliance. As the Associate Director of the Cell Therapy Program at the University Health Network, She oversees all of these aspects, and is responsible for translating over 10 cell-based research projects into Health Canada/FDA-approved clinical investigations. 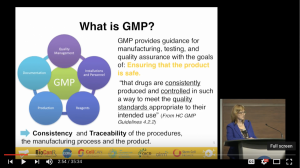 She leads a multidisciplinary team of project officers, clinical fellows, clinical nurses and Good Manufacturing Practice (GMP)-skilled technicians who work in a state-of-the-art GMP-compliant cell manufacturing facility. She is currently working on over 10 clinical investigations, both investigator- and industry-led ranging from osteoarthritis, cardiac disease, immunotherapy treatments for cancers, lysosomal storage disorders to acute kidney failure. Sowmya is involved in the design and development of a new GMP-compliant cell manufacturing facility at MaRS II. 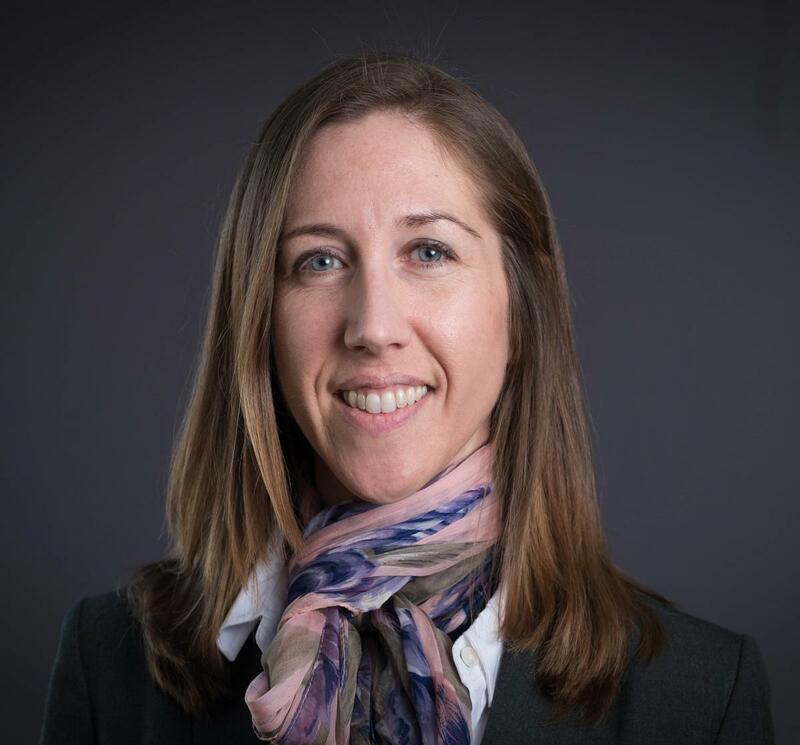 She regularly serves as a national regulatory and cell manufacturing consultant for projects across Canada, and is a clinical translation and regulatory consultant for the Center for Commercialization of Regenerative Medicine. She is a founding member, and chair of the Manufacturing Committee of a network of Pan-Canadian cell manufacturing facilities called CellCAN, and is leading efforts to fund this initiative.